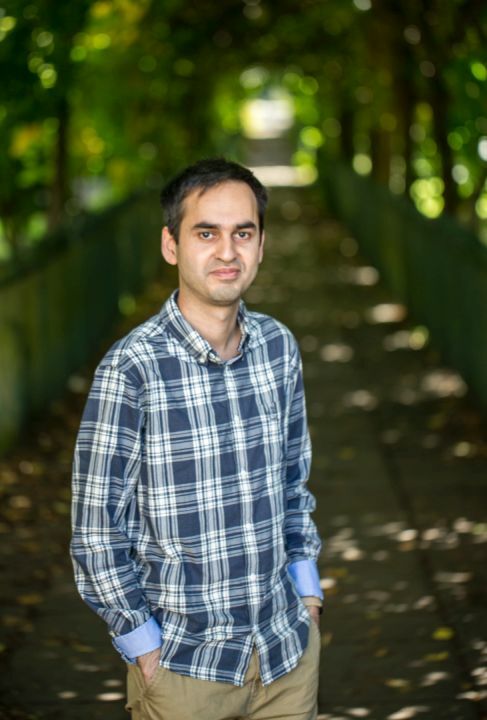 Danial received his BSc in electronics engineering from Chamran University of Ahvaz, Iran, in 2007, an MSc in Microelectronics and system engineering from the University of Bristol in 2009, and a DPhil in engineering science from the University of Oxford Microelectronics group in 2013. During his DPhil studies his work was based on various designs for Single Photon Avalanche Diode (SPAD) arrays. He designed and tested SPADs for CMOS imaging, fluorescent measurements, and optical communications. He made the first analogue SPAD arrays which had compatible readout mechanism with conventional CMOS image sensors. His thesis on single photon avalanche diodes for optical communications demonstrated that a SPAD receiver can achieve faster data rates than their deadtime. In 2013, he then joined the UCL Department of Medical Physics and Biomedical Engineering to develop wearable optical brain imaging systems. He used sensitive photo detection and compact digital systems to achieve high-density multi-wavelength source-detector arrays. In 2017, he joined School of Engineering at The University of Edinburgh as a Chancellor’s Fellow in Electronics. His main area of research is exploring applications for SPAD arrays with a focus on time-of-flight sensors for biomedical applications. For further information and related projects please visit my personal Home Page. Further information on NIRS Imaging. Further information on SPAD Receiver for optical communications. For a full list of publications please visit Google Scholar.